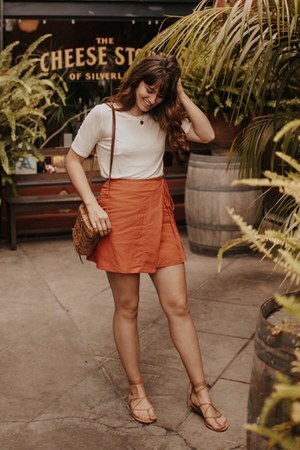 The most popular skirt styles amongst fashion bloggers are floral print skirts, maxi skirts, lace skirts, pleated skirts, and floral skirts. Blogger lindarrr was the first blogger to showcase how she wore stylish skirts in Spring 2008. H&M, Forever 21, Zara, vintage, and thrifted skirts are commonly seen on Chictopia.